If you’re into skincare and brands and products, you’ve either heard of or used Dermalogica at some point. many years ago, while experimenting with different products in search of that just-right fit, I started using Dermalogica but stopped after about six months of not getting the results I wanted and becoming annoyed with the shipping practices of the online retailer who was one of the few to carry it at the time. and once a line fails me, it’s dead to me, I’ll turn my back on it faster than a soap opera star in a climatic moment, dramatic hair toss & all. mama don’t play! but once I started beauty school, there it was, back in effect. I had no choice but to get reacquainted because it was the school’s preference, which meant it would be mine as well (for the next six months at least). awkwaaaard. oh well, I gave those grey & white bottles the side-eye & kept it moving, like it or not. history be damned. but then I noticed something. things were somehow different this time. seems the line underwent some changes (as expected with time) but for the most part, a lot of the old faithfuls were still there and much more had been added. as I used the products on clients and really got to know Dermalogica on a professional level, I realized its effectiveness and noticed a few true shining stars standing out above the rest. I loved how my clients skin glowed after facials and treatments. I even started to enjoy recommending products for at home use. who would’ve ever thought?! post-facial, her skin was glowing and she could see & feel the difference. Dermalogica is a solid line and I’m glad to have made amends with it. It’s also a really great starting point for teens and those new to taking care of their skin as well as skin savvy experts searching for a well-rounded line for their business. I’d recommend PCA first & Dermalogica second. launched FITE in 2011. FITE – Financial Independence for Women through Entrepreneurship helps women entrepreneurs in United States & 56 countries through microlending. If you buy a product with a FITE label, a portion of the sale is contributed and you simply peel off the sticker, go to a website & complete the process which allows you to select the woman to help based on her bio and business goal. It’s a remarkable program, you really feel you’re doing more than just writing a check or telling the check-out cashier ‘yes‘ to a dollar donation or what have you. I’m not knocking that either because any help is good help. an oldie but goodie, this cleanser is made of bentonite & kaolin clays to really soak up the oilies. I love that it doubles as a mask so you get 2-for-1 plus it has Menthol to refresh and refine skin’s texture. I use this for oily skin as a cleanser & mask. another basic staple, great for dry skin. I’m a fan of the pre-cleanse method which was used by many waaay before Dermalogica coined the term. regardless of skin type, I feel everyone can benefit from double-cleansing because even if you don’t wear makeup, environmental factors alone can wreak havoc on the skin not to mention lifestyle choices (tanning, smoking, drinking, clubbing, swimming etc) so it’s key to cleanse the day away, sorta speak. this is a gentle creamy cleanser that lifts impurities from dry skin while conditioning and soothing sans irritation. good stuff! I can still hear the voices of my fellow 30-something classmates, all in favor of this cleanser during open clinics (when students get to work on each other). a very popular lactic-acid based cleanser that does a great job of quickly removing dead skin and prepping it for maximum product absorption (serums, moisturizers). similar to Essential Cleansing Solution though designed for all skin types. this cleanser makes a great pre-cleanse. a foaming gel that gently cleans the skin without stripping away natural oils or making skin feel tight. one of my fave cleansers because I battle hormonal hyperpigmentation on my cheeks & chin from break-outs & not only are they hard to get rid of but they come back with the slightest cystic nodule. this cleanser is very concentrated and if used consistently, can produce great results. It has a unique blend of enzymes (oh how I love thee), peptides & brighteners. If you have acne & uneven skin, address the acne first….too much at once can cause more damage in the long run. such a wonderful toner. this was the go-to toner at school because of its wonderful scent, light mist, refreshing, firming and hydrating qualities. a staple in my post-beauty school arsenal for sure. I love products that serve double-duty and this mist is great to spritz on skin post-wax/shave/tweeze. soothing, hydrating and relieves aggravated symptoms on sensitive skin such as redness, stinging, swelling, etc. super gentle, super effective. normally, I recommend exfoliating 1-2x week but this product is gentle enough for everyday. It’s a unique rice-based enzyme powder & super fine in texture so it microfoliates dead skin/dullness leaving you smoother & brighter. (enzymes eat away at dead skin cells) this is a power gem in their line-up for sure. I love it. this is where I suggest having a professional peel performed by a Dermalogica certified skin expert – this product is meant to enhance that service. alone it’s good but following a pro treatment, its amazing. Dermalogica says it’s fine for all skin conditions, EXCEPT users of medically-prescribed exfoliating products. (so if your derm prescribed retin-A, you don’t wanna add this to your regimen). speak with your doctor if you’re on ANY prescribed skin care and want to use this product. personally, I suggest anyone with very sensitive skin avoid this product altogether. small doses of leave-on exfoliating hydroxy acids and enzyme treatments is what this product offers to help reduce signs of premature aging. a brightener helps to even skin tone. also contains soothing teas of rooibos and green to help skin retain moisture. I always suggest clients drink plenty of water to keep skin hydrated while using this product, further boosting its effectiveness. this is a good exfoliant for acne-prone skin because it’s a non-abrasive hydroxy acid but still removes dull, dead skin without the feel of physical granules. similar to Daily Microfoliant in that it brightens skin but sans the rice-based brightening enzymes. the only physical scrub in the line up, made of natural corn cob meal and great for oily skin. gives you that polished feel that some of us enjoy. If you can’t let go of the ole’ been-around-forevs Apricot Scrub then try replacing it with this. do not use on acneic skin. this produt promotes a smooth, healthy, polished complexion and the physical scrub factor is a no-no for acne lesions. this baby was such a star at beauty school. a lightweight, oil-free lotion for daily use. it’s very hydrating & comparable to a drink of water for the skin! I use this lotion on clients with normal, combination, oily & even dry if not too severely dehydrated. great product! this was preferred by the same 30’somethings that loved the Skin Resurfacing Cleanser. again, for mature or prematurely-aging skin – it helps to firm and hydrate white strengthening elasticity and offering sun protection. very effective, especially when paired with the cleanser. anyone 30 & up (except those with really sensitive skin) should give the age smart line a try, a trial kit would give you a lil of everything. a great moisturizer for dry skin types. loved by clients and students alike, if your skin type is dry, this medium-weight cream is ideal because it contains soothing botanicals & antioxidant vitamins to up the moisture factor while improving texture, suppleness and tone. a classmate swore by this stuff & we could see the difference in her skin when she used it. the results were supple and dewey, really gave her a glow. 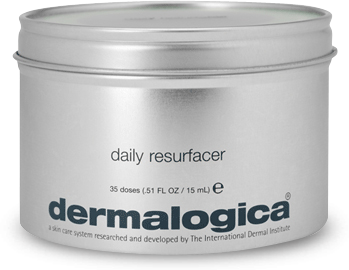 Dermalogica prefers to spell ‘mask’ all fancy like, la-dee-da…whatever works. this is a wonderful face mask from the age smart line. In a word, powerful! contains antioxidant vitamins to help skin recover from damage while enhancing barrier properties and promoting healthy tissue regeneration. smells good too. these boosters are not like the shots you received as a kid. these feel great and offer some pretty awesome benefits & results. clients are often confused on how to use them but boosters are similar to serums from any other line, to be used post-wash & toner but pre-moisturizer. simply, squeeze a drop or two (very concentrated so a lil is ALL you need & massage gently (upward strokes only ladies) onto face, throat & decollete. this gentle booster is great for soothing irritated, sensitive skin and it also contains honey to calm and hydrate. I use this toward the end of treatments for anyone requiring a number of extractions or post wax/tweezing/microdermabrasion. good stuff. I used to love this stuff to pieces! super saturated hydrating fluid to help the driest of skin by moisturizing, smoothing and minimizing fine lines. but, this product is primarily made of hyaluronic acid so just buy yourself some hyaluronic acid serum (available online) & use it instead for a mere fraction of the cost. a great hydrating body cream with hydroxy acids and essential oils to smooth and condition skin. I love the way this product absorbs into the skin and provides quality slip. lil goes a long way, does a great job cleaning skin without stripping it. really rich yet conditioning. HOLY-GRAIL LIP BALM!!! I fell in love with this stuff at school & the honeymoon continues. the price makes me sad ($26) but the conditioning effect this has is incredible! It’s said to minimize contour lines and helps prevent signs of aging, my lips are pretty full so no signs of aging lips but I love it because it really makes a difference in how my lips feel. It’s hard to explain accurately but I can really feel this lip balm working & so did everyone else who used it. clients love it too. I hope this stays around forever. another winner from the age smart line, we used this product on eyes & lips during facials. clients loved the scent (like Skittles) & the effect. minimizes contour lines and helps prevent signs of aging. Dermalogica offers several eye creams but this is my favorite. again, a tiny dab will do ya’ tho it is addictive. we were constantly refilling our skin carts with this due to constant use. my favorite sun protection source that’s unlike any sunscreen out there. a sunscreen supplement specifically formulated to add full spectrum protection to your favorite moisturizer or make-up. just a few drops added to your moisturizer is all you need. so effective too, love it! so there you have it, my history with Dermalogica and my thoughts on the line today. have you ever used their products? what do you think about it? 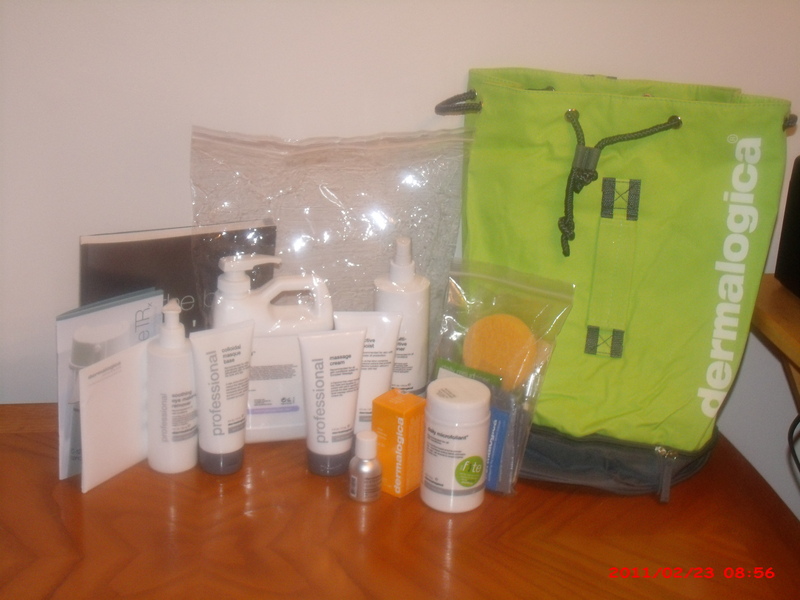 This entry was posted on March 17, 2012 by suite7beautytalk in REVIEWS, Skin, SKINCARE and tagged beauty, Dermalogica, Skin, Skin Care, teens.